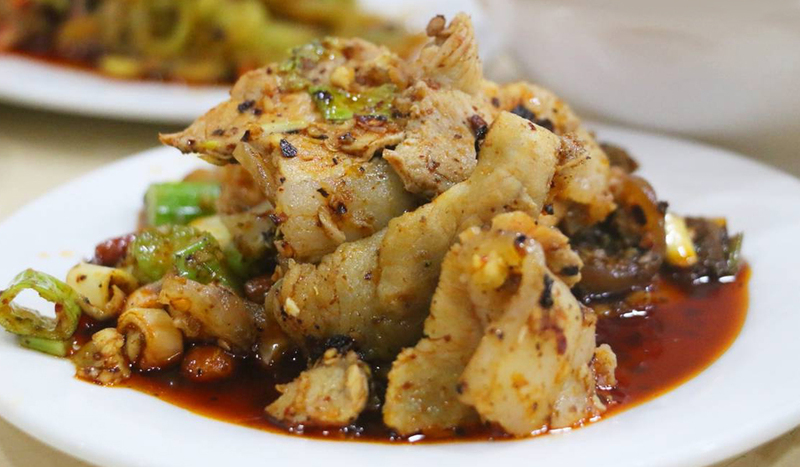 Wondering how to win over the hearts of people from Sichuan and new fans of the province’s food alike? 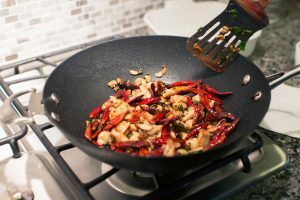 Make sure the food is hot spicy, numbing spicy, umami, and savoury at the same time. 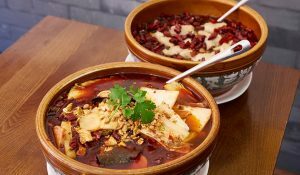 JinLi on Leicester Street not only preserves the essentials of Sichuan cuisine, but also demonstrates a flexibility and forward-thinking approach to their food. 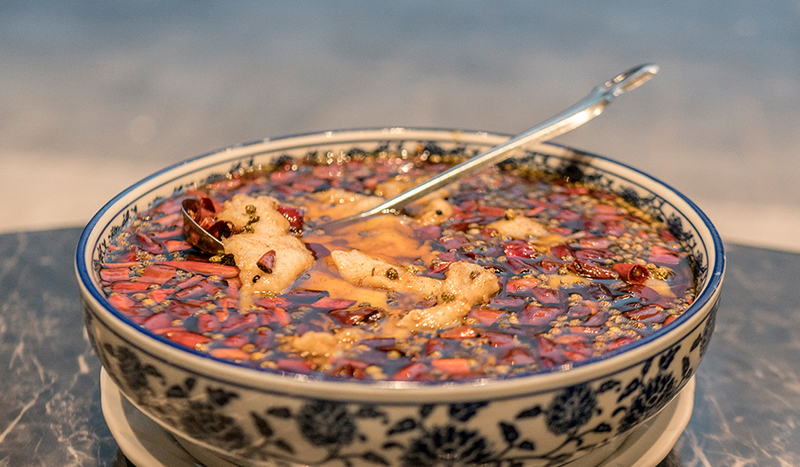 JinLi’s signature dish, JinLi Grilled Fish in Chilli Oil, is a must-eat. A large pot of freshly cooked fish will be presented on the table. You can hear the sizzling sound and smell the luring aroma of spices heated by the alcohol stove underneath. 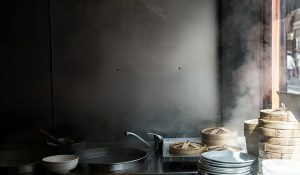 Griddled dishes are a JinLi speciality – from Griddle Cooked Duck Tongue to King Prawns or Agrocybe Aegerita. The latter, an unusual Chinese mushroom with incredible nutritional benefits. Tasty and healthy, what’s not to love? 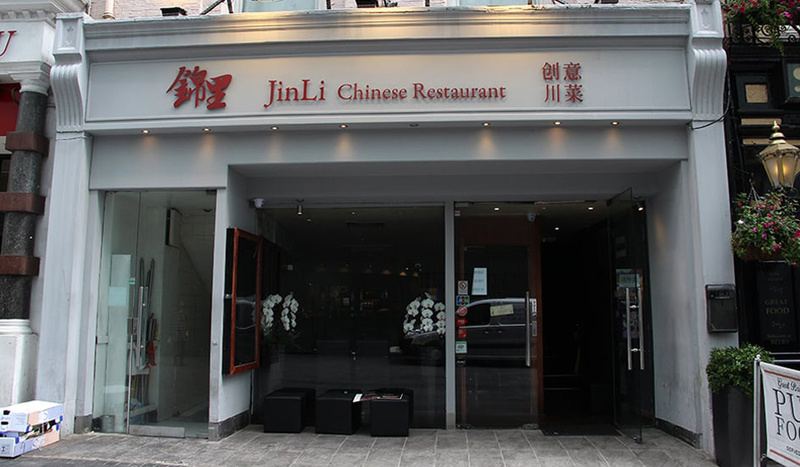 Aside from great food, JinLi’s appeal pops up in their awesomely authentic KTV karaoke rooms which are available to hire. Chicly decorated with the latest Thunderstone sound system, get ready to rock the mic.